This application locates and compiles information about online personalities, given a username and/or email address. 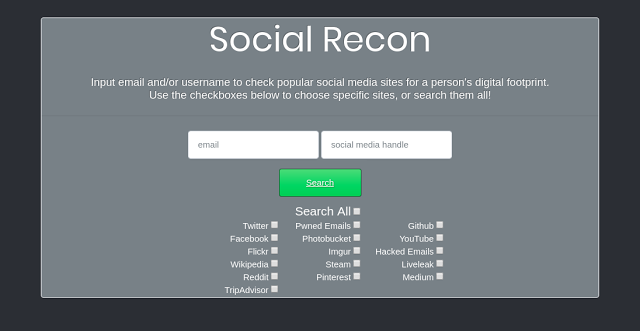 Use this to investigate your own online presence, summarize the digital footprint of someone you know, or uncover the person behind a specific username. Clone or fork the repo to your machine. Once downloaded, cd into the osint-scraper directory. Begin a new virtual environment with Python 3 and activate it. cd into the next osint-scraper directory. It should be at the same level of the setup.py file. pip install -e . on the command line to install all dependencies.